The groups accompanied our Man of God to a wonderful boat ride at the Sea of Galilee. The Sea of Galilee is indeed the cradle of the Gospel. The third day of this amazing tour was outstanding for all participant, elevating their spiritual levels. 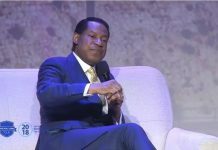 Pastor Chris Oyakhilome, the founder of the Christ Embassy church, led the tour with God’s glory on his side. 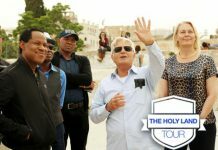 The different groups from the Holy Land Tour delegation accompanied the Pastor to a variety of Holy sites throughout the day. The groups were privileged to experience Mt Beatitudes, where Jesus delivered His sermons on the Mount. 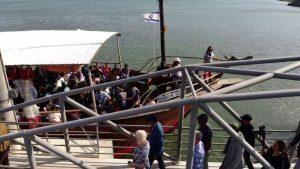 Additionally, our Man of God visited Magdala and took a great boat ride in the Sea of Galilee. 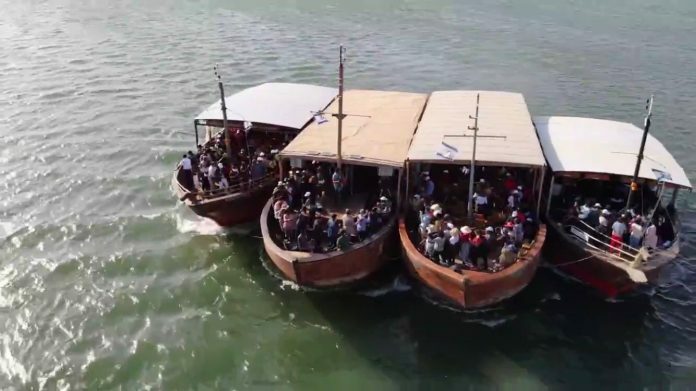 The groups accompanied our Man of God to a wonderful boat ride at the Sea of Galilee. The Sea of Galilee is indeed the cradle of the Gospel. The great variety and abundance of fish in the lake attracted to its shores a large and varied population. This spot is the center of the public ministry of our Lord Jesus Christ. Also know in the Old Testament as the Sea of Chinnereth (Numbers 34:11, Joshua 12:4, Joshua 13:27), Lake Gennesareth (Luke 5:11), Sea of Tiberius (John 6:1, John21:1). 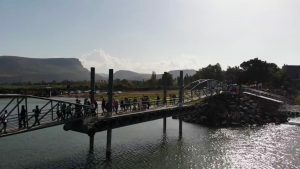 The visit to Israel has been packed with back to back events, so this boat ride was a nice moment for all the delegation to enjoy the beautiful scenery of the land of Israel and all it has to offer. Additionally the tour engaged in traditional singing from Capernaum to Ein Gev. The highlight of the boat ride was, as expected, Pastor Chris Oyakhilome’s Ministration that was uplifting as ever. Another amazing site that Pastor Chris visited was Magdala. The synagogue in Magdala is currently the oldest excavated in Galilee and one of seven from the first century in all of Israel. A coin minted in Tiberias in 29 CE was found inside the synagogue, proving that the synagogue was from the first century and the time of Christ’s ministry. Since the Bible tells us that Jesus taught throughout the Galilee, it is certain that he taught and frequented this very spot. All four gospels Refer to a follower of Jesus called Mary Magdalene, and it is usually assumed that this means “Mary from Magdala” (Mat 15:39). 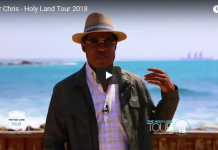 Keep up with this amazing Holy Land Tour through social media, YouTube, and the live stream.